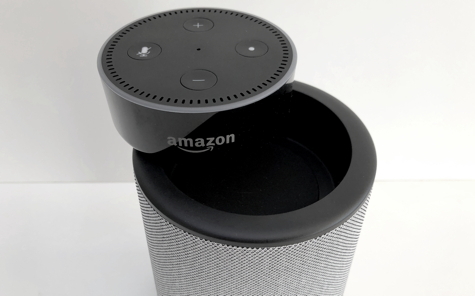 The Vaux is an accessory speaker for the Echo Dot -Amazon’s hockey puck-sized Alexa assistant that is currently being promoted at $30. 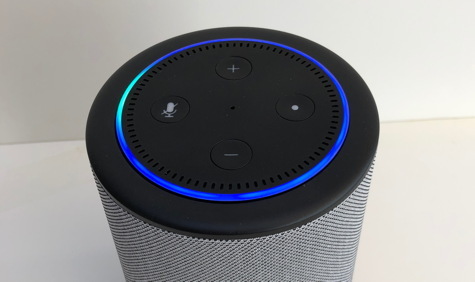 Dots perform the same functions as their larger brother, the Amazon Echo. Their shortcoming is a small, tinny speaker. For improved sound, drop your Dot into into the top of the Vaux and connect it with two small plugs. The Dot’s original power cable plugs into the Vaux. Try out a Dot to see if Alexa’s services are right for you and if they are, adding a Vaux will make it look better—and sound much better. The Dot and Vaux combo will cost the same as an Echo. The Vaux is available in Black and Ash Gray. It has an attractive fabric exterior that tames the techy look of the Dot. While we’re not likening Vaux’s sound quality to an expensive speaker, the Vaux sounds good and does well with music. 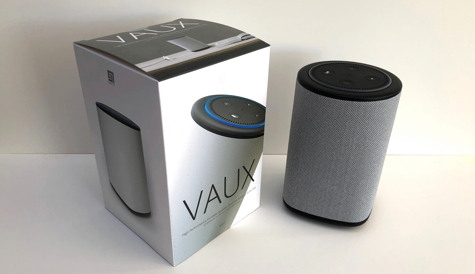 I am familiar with the Amazon Echo and I believe the Vaux sounds better. As a bonus, the Vaux contains a battery that is continuously charged because it is always connected to power. This allows you to unplug it and take it to another room or outside to the patio and keep your music and Alexa with you wirelessly. The poor sound quality in many of the current smart devices is spurring manufacturers to develop improved speakers. The Vaux is a good example of this innovation.